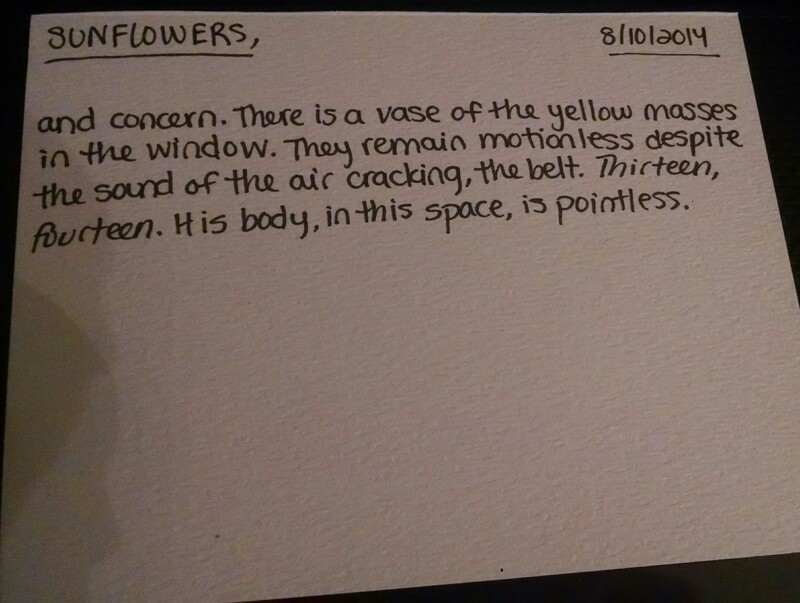 and concern. 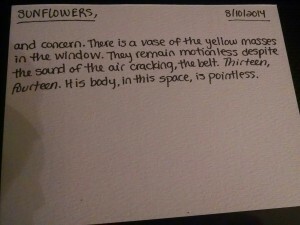 There is a vase of the yellow masses in the window. They remain motionless despite the sound of the air cracking, the belt. Thirteen, fourteen. His body, in this space, is pointless.